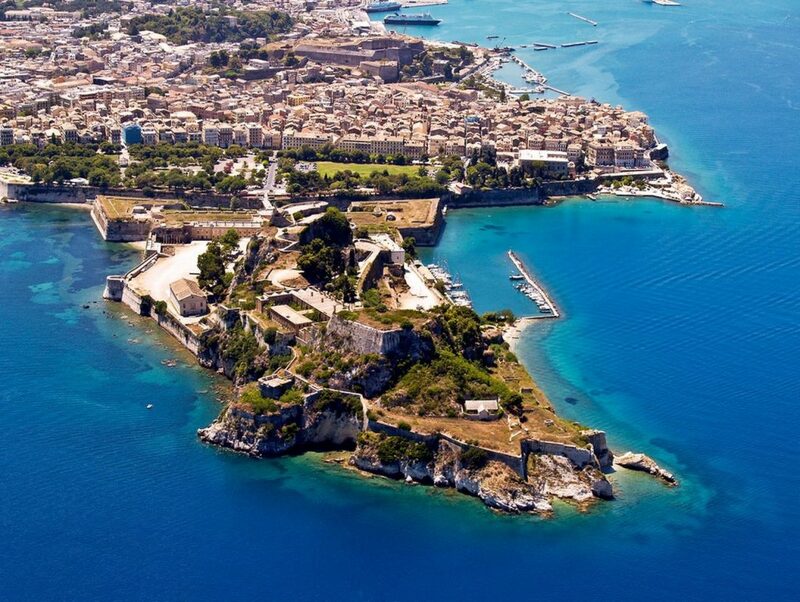 It is built on a small islet on the eastern end of the Old City of Corfu and Spianada, the great square. 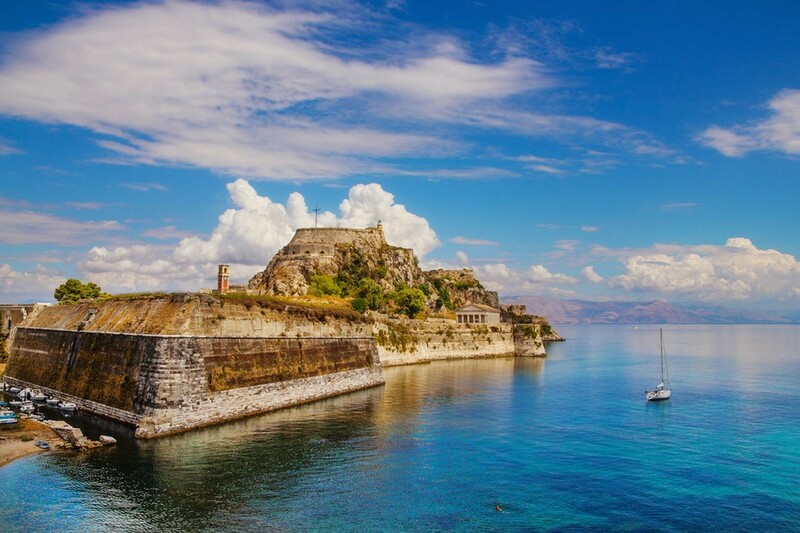 The Old Fortress stands as the «guard» of Corfu since the 6th century, when the Corfiots built it with the ruins of Palaiopoli , the ancient city destroyed by raids. 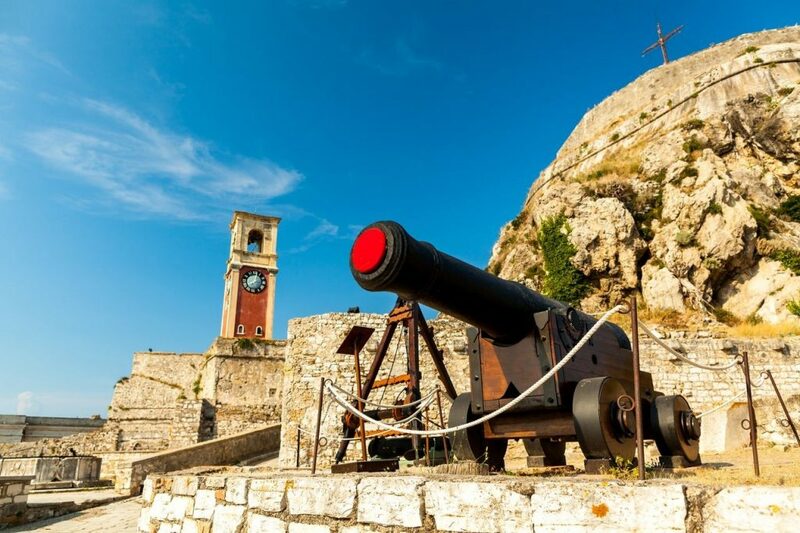 The Old Fortress was the city of Corfu until the 15th century, while later it was turned into a military place. Although it was never occupied after a siege, however from there passed, in this order: the Byzantines, the Venetians, the French, the Russians, the English, the Greeks, the Italians and the Germans. 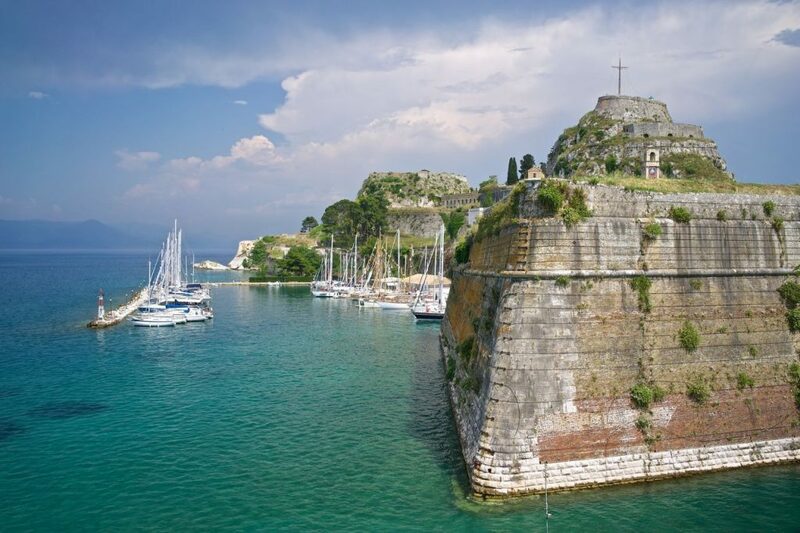 Corfu owes its Latin name with which it is known worldwide, to the Old Fortress, with the two tops of the hillocks. 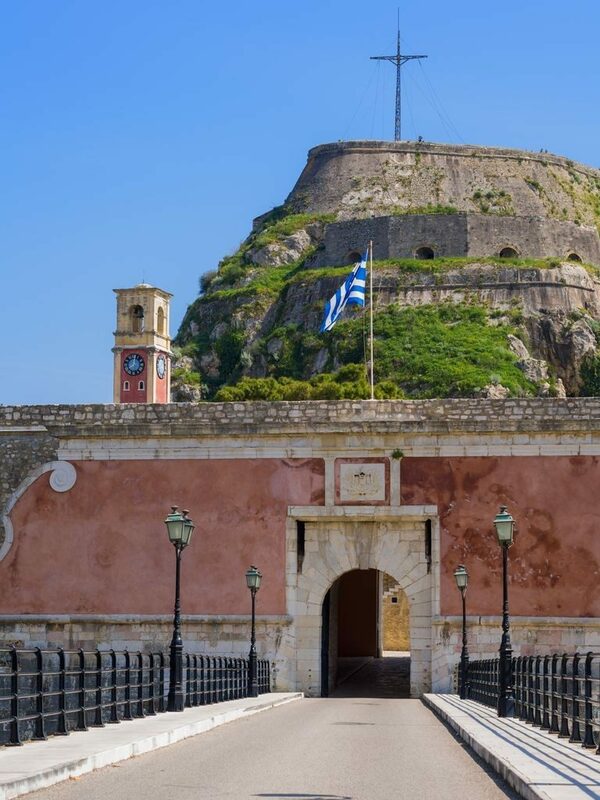 Two towers, the Tower of the Land and the Tower of the Sea were built on these two hilltops, while next to the main gate you will see the Historical Archive of Corfu with documents of many centuries narrating the history of the island. A small, iron bridge connects the Old Fortress with Spianada and you must cross it in order to pass by the «Contra Fossa», the artificial moat which exists underneath and was created for more security. Today, it is filled with fishing boats and small vessels that find shelter there. Guests are welcomed by the arched entrance of the Old Fortress from where a gallery leads to the center of the fort. At the end of the tunnel, a narrow lane leads to the old military camp, while towards the south you will have the opportunity to go to the Doric church of Agios Georgios which was built in 1840 during the English occupation. 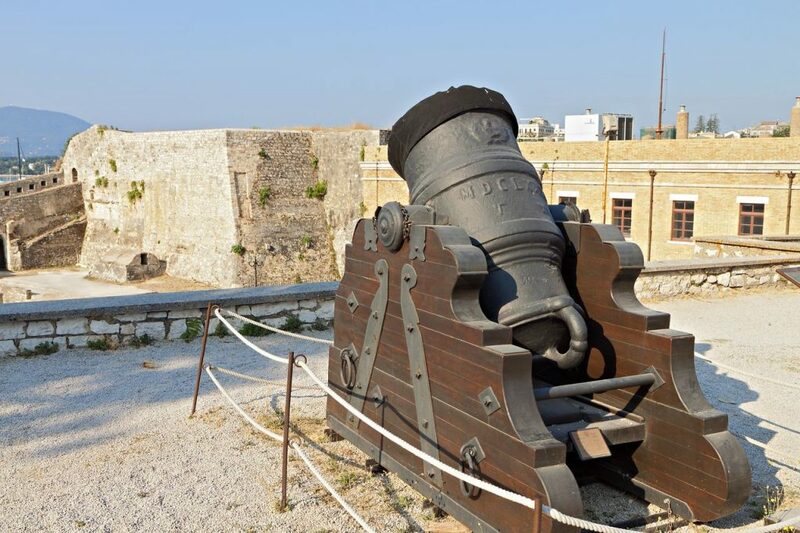 Right in front of the Gate, at the end of Spianada, the Statue of Schulenburg, the Field Marshal who successfully defended the Old Fortress, repelling the Turkish attack in the 18th century, has been moved there. 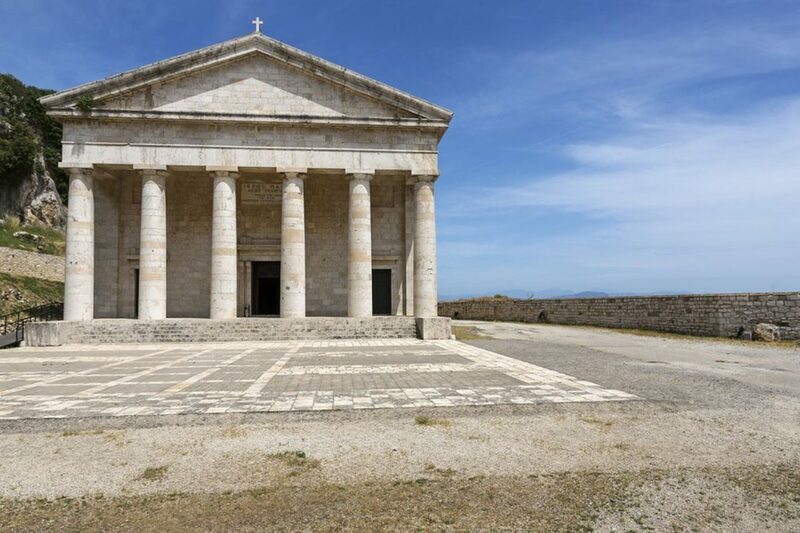 In the Old Fortress you will see various edifices still standing: the Venetian prison, the military chapel, two barracks even the English military hospital where, the music school operates today. Mandraki, the small port filled with vessels, with the beautiful gate of Soranza awaits you in the northern side of the peninsula. 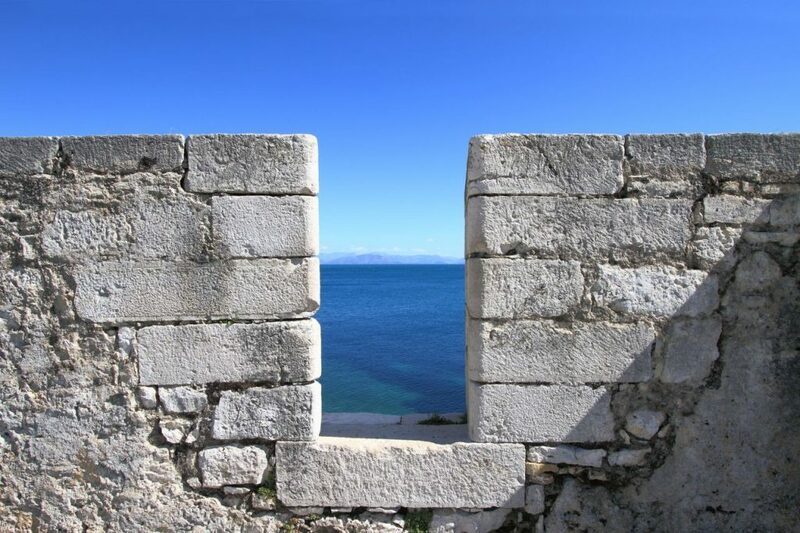 Steps made of stone lead to the upper fortified level of the Old Fortress from where, you will enjoy a panoramic view of Spianada and the Old City , Garitsa bay and Vido . In the outdoor area of the fortress, called Versiada, cultural events are organized. In order to enjoy all the beauties of the Old Fortress, you will need about three hours, and if you want to relax, there are two recreation areas where, you can have a drink, a soft drink, coffee or food.